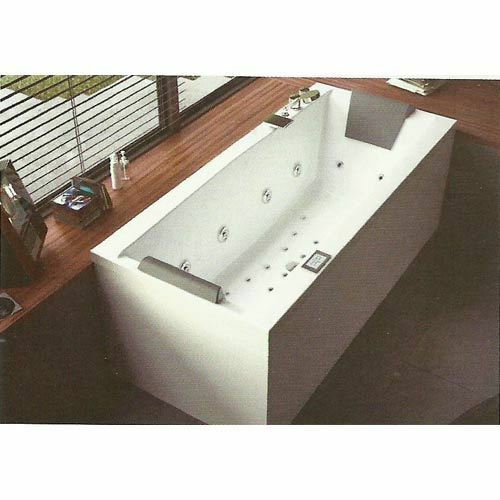 Being a reckoned name in our specified business, we are offering Whirlpools Eden Bathtub to our profound customers. Designed as per the prevailing market trends at our vendor base, these products have gained wider market acceptance. Customers can source these products as per their preferred choices in terms of sizes & looks. We, Malani Sanitary Ware, were founded in the year 1975 as the prominent supplier and trader of Bathroom Faucets & Sanitary Wares. Offered range of sanitary wares is sourced from certified names in the industry and is offered with the assurance of perfect finish & alluring designs. Under the wide gamut of our offerings, we have assorted Flush Plate, Flush Valve and Flush Cistern, to meet the various requirements of customers under cost-effective budget. To meet our clients' requirements and to deliver our offerings in bulk, we are backed by vast & organized warehouse and packaging unit. There, we have assorted latest and advanced machinery to conduct our packaging & delivery tasks in an effulgent manner. Our team comprises of professionals with in-depth market knowledge and years of industry experience. These professionals are competent and strive with zeal to achieve excellence in completion of their assigned tasks. We carry out our procuring & delivery procedures based on qualitative approach and for the reason, bring forth best-in-class solutions for the industry users.